Don Byron is an accomplished clarinetist who also plays saxophone. 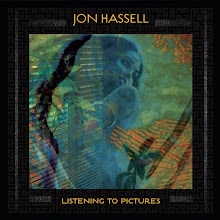 An ardent experimentalist in that each of his albums explores different themes. He has recorded jazz, R&B, Funk, Klezmer and semi-classical themed albums. 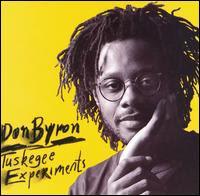 Blurring the lines of jazz and other genres is only beginning of what Don Byron has contributed to musical culture. His influences range from John Coltrane, Dizzy Gillespie, Leonard Bernstein, Artie Shaw to Lester Young. He began his career performing Klezmer music (which he paid tribute to on his second album A Tribute To Mickey Katz (Nonesuch)) but the album that I have always gravitated to and been fascinated with is his first album, Tuskegee Experiments (Nonesuch). Tuskegee Experiments takes on the two famous and tragic moments in African American history; the Tuskegee Airmen who were racially discriminated against by the Army although they were light years better than their White American counterparts and the Tuskegee science experiments done on African Americans who were stricken Syphilis and not treated just to so they could see what would happen. This is a powerful and emotional album that gets you thinking about the tragedies in a new way. Tuskegee Experiments works just as well as a jazz album even if you set the themes aside.The album features excellent work from band members Bill Frisell (guitar), Reggie Workman (bass), Ralph Peterson (drums), Edsel Gomez (piano) and Lonnie Plaxico (bass); whom all contribute to an uplifting and thought-provoking session everyone should hear. A slightly more straight-ahead jazz release from Don Byron is Ivey Divey (2002, Blue Note) that is well worth checking out if you think Tuskegee Experiments isn't for you. Tuskegee Experiments though stays my favourite and may be an intellectual record, but some times we need an album to jar us all into action.